Todo en este post ha sido de conocimiento público desde el día 1, pero ahora que estamos recibiendo miles de nuevas personas en el ecosistema es un buen momento para resumir y dilucidad cada uno de los siguientes tópicos de manera individual en un sólo lugar. Eso hace fácil para los nuevos miembros entender la tecnología y el estado actual de IOTA, así como mitigar la ola de rumores que inevitablemente se levantan cuando algo de última tecnología se hace público. Empecemos con el sentido común, el Tangle de IOTA es un paso adelante significativo desde la blockchain, la misma que también es tecnología bastante experimenta, algo que debe ser reiterado y resaltado. Aun cuando ahora pensamos que el software esta listo para que el público experimente y desarrolle con el, es de hacer notar que IOTA todavía es software beta en continuo desarrollo, como cualquiera de las otras libretas contables (cryptos) al momento. Nos estamos acercando cada vez mas con cada hora a una versión de producción, y ya estamos en pláticas con el equipo de estandarización acerca de lo que se necesita para para convertirla en un estándar y más allá de eso, para ser desplegada en grandes ecosistemas internacionales. Sin embargo, es importante tener en mente que por el momento se debe tener precaución cuando se utilice para algo crítico. En resumen: usa el sentido común. The IOTA client is currently available in a Java implementation, which is pretty much the equivalent of a ‘minimum viable prototype’, but work has commenced on a fully optimized C++ and Rust client, with more clients planned. Likewise the libraries are growing consistently and we have a lot of them on our roadmap. Likewise the vault of tutorials is continuously being expanded. There’s also a lot of cool tools being developed by the community. Finally it has to be emphasized that IOTA is an open source project, currently there are millions of dollars to collect by participating in all of the above. As with all software there are also still some bugs to be ironed out, and quite nice compensation for doing so. While the IOTA core and ecosystem is growing exponentially it is still very much in an early phase. IOTA is currently in what should be considered a ‘transition period’ towards large scale deployment and standardization. Like Bitcoin, Ethereum and all other distributed consensus protocols before it, the IOTA network need an onboarding mechanism to provide 34% attack protection in its early days. Due to the unique underlying architecture of IOTA this takes the shape of a ‘Coordinator’. The ‘Coordinator’ or ‘Coo’ for short, is essentially training wheels for the network until the amount of organic activity on the ledger is sufficient to where it can evolve unassisted, at which point the Coo is permanently shut off. This does not mean that the IOTA ledger is currently in any way centralized, the network is 100% decentralized, every node verifies that the Coo is is not breaking consensus rules by creating iotas out of thin air or approving double-spendings. In fact any talented programmer could replace Coo logic in IRI with Random Walk Monte Carlo logic and go without its milestones right now, so technically even at present the Coo is entirely optional. The only role the Coordinator serves is to protect against attacks in this temporary infancy stage of the Tangle ledger, if we shut the Coo down the network would continue to evolve as it will in the future when it is unassisted by these ‘training wheels’. As IOTA was the first distributed ledger project that took the inevitable threat of scalable quantum computers seriously, we had to move away from standard elliptic curve cryptography. A few months later NSA validated our concerns by announcing official concern over the ‘quantum threat’. Since then there has been numerous quantum leaps in quantum computing, further validating this engineering decision we made. Beyond this concern we also had to follow a path that is optimized for the future landscape of Internet of Things. Curl is a new kind of hash function optimized precisely for these two things, it is based on well-studied sponge construction invented by the Keccak creators (SHA-3) and strictly conforms to all requirements described in their official paper. Though Curl has gone through reviews, it is naturally not as explored as older ones yet. Curl, like the rest of IOTA, is continuously being audited by more and more cryptographers and security experts. 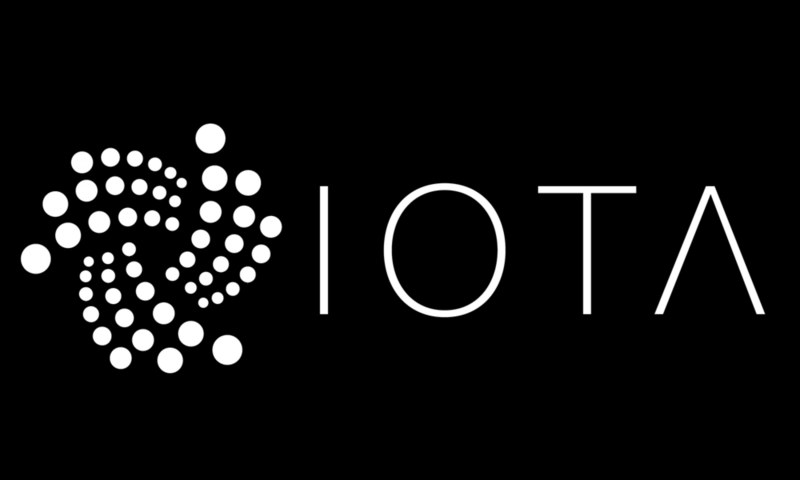 Even though IOTA works great and scales better than any other public distributed ledger already, in order for IOTA’s full vision and true potential to become a reality a ‘Curl hasher’ will need to become a standard component in CPUs deployed in IoT environments. In fact a specialized CPU for IoT and Distributed Computing was the precursor to IOTA. This is a trivial matter, just like Floating Point Units/math coprocessors was made a standard part of all CPUs in the 1990s once the demand for math intensive operations became a norm. Another example of this sort of hardware support being standardized due to software demand are integrated GPUs in phones once the UX/UI and increased game complexity demanded it. It’s the same thing here, as IoT grows and the demand for the distributed ledger technology increase, it will simply become ‘just another’ component in the tech stack, subsequently hardware will simply adapt to accommodate the new status uo, in fact this is already occurring. This means that even small devices in the Fog/Edge of the network will be fully capable of carrying out their own hashing for hundreds/thousands of transactions per second locally without the need to outsource it. With hardware support the fundamental limit of IOTA’s scaling will be the laws of physics themselves. I.E how fast radio waves/photons can communicate data. It’s important to note that this hardware component does not add any extra cost either in price or size of the chip to the manufacturer and will be entirely open source. In the comment section there will be some FAQs and community written elucidations on common misconceptions of IOTA.